A light blend of raspberry, apple, lemon, and other delicious flavors. 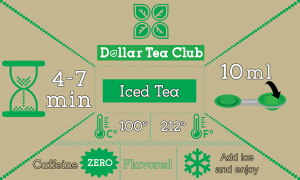 This blend Is perfect served over ice for a sweet treat you can enjoy all summer long! 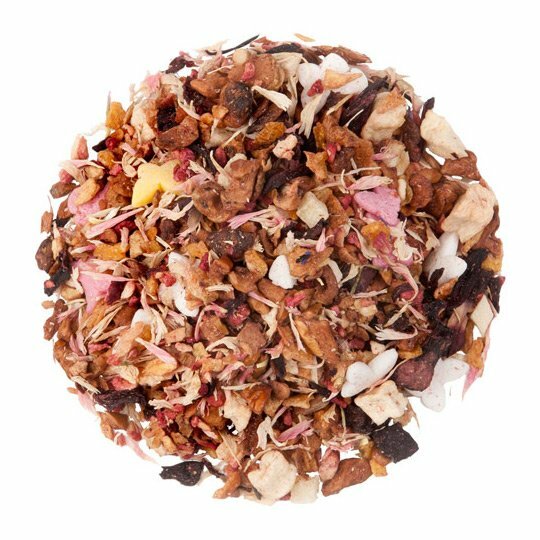 Apple pieces, white apple pieces, lemon peel, sugar butterflies, pineapple pieces, beetroot, hibiscus, raspberry pieces, flavoring, pink cornflower petals, natural flavoring. 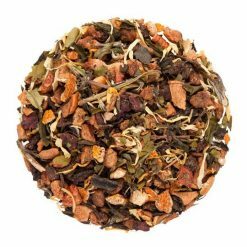 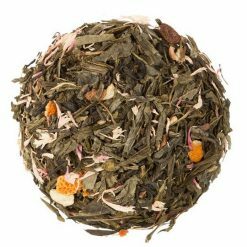 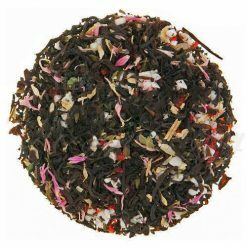 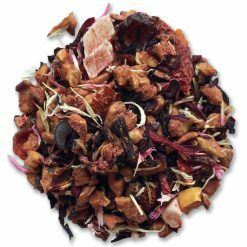 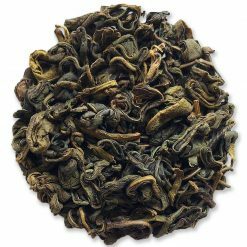 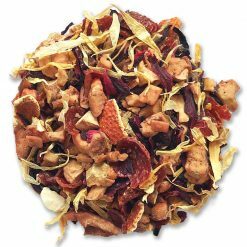 Apple, strawberry and cranberry flavor this herbal blend.